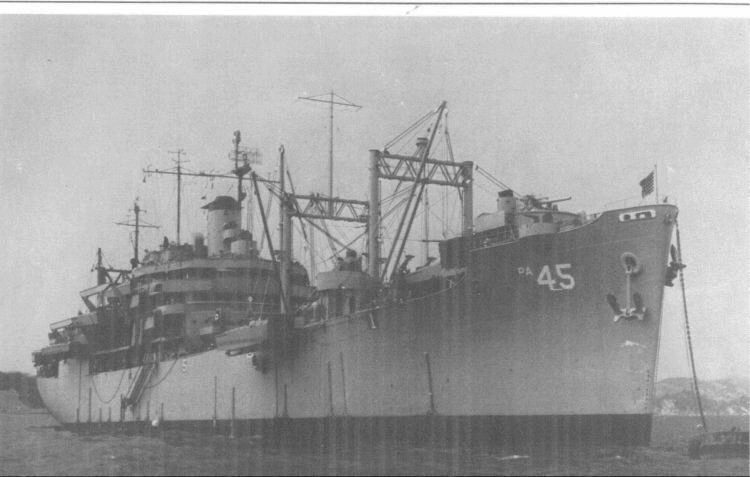 Laid down, date unknown, as SS Sea Darter, a Maritime Commission type (C3-S-A2) hull, under Maritime Commission contract (MC hull 393) at Ingalls Shipbuilding, Pascagoula, MS.
Decommissioned, 8 July 1943, at Bethlehem Steel Co. Shipyard, Hoboken N.J. 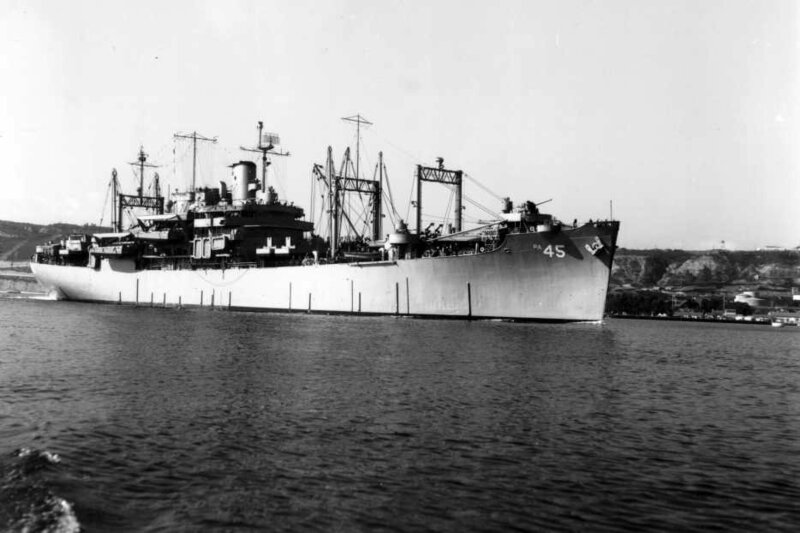 Transferred to the Maritime Administration (MARAD), 21 February 1968, for lay up in the National Defense Reserve Fleet, Olympia, WA. 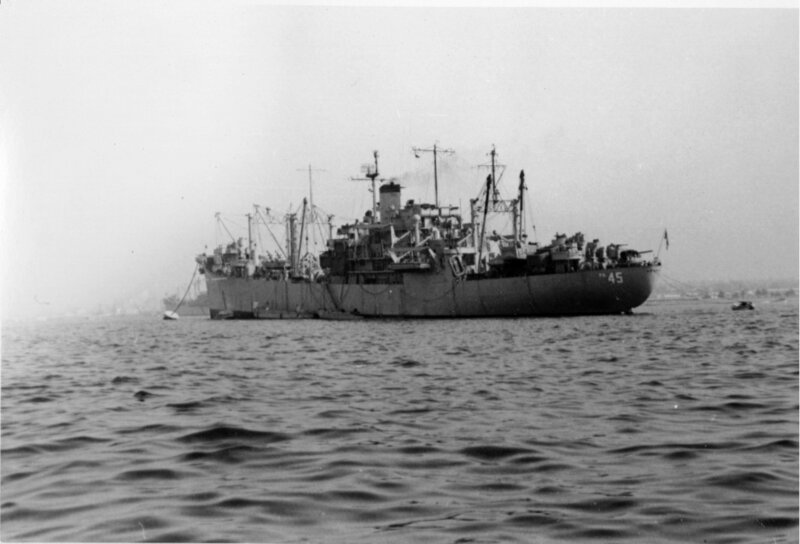 69k USS Henrico (APA-45) at anchor, circa 1945, location unknown. 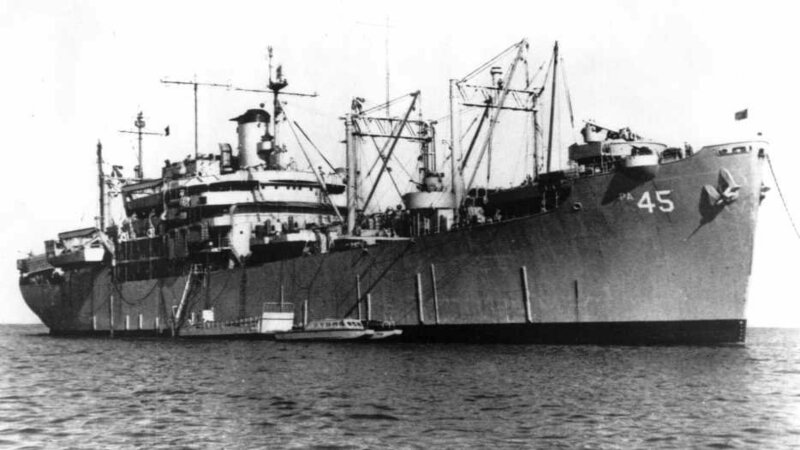 The ship is painted in Camouflage Measure 22. 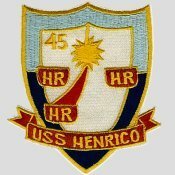 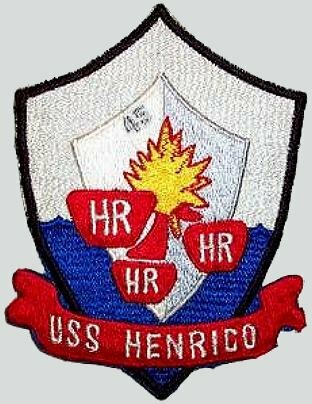 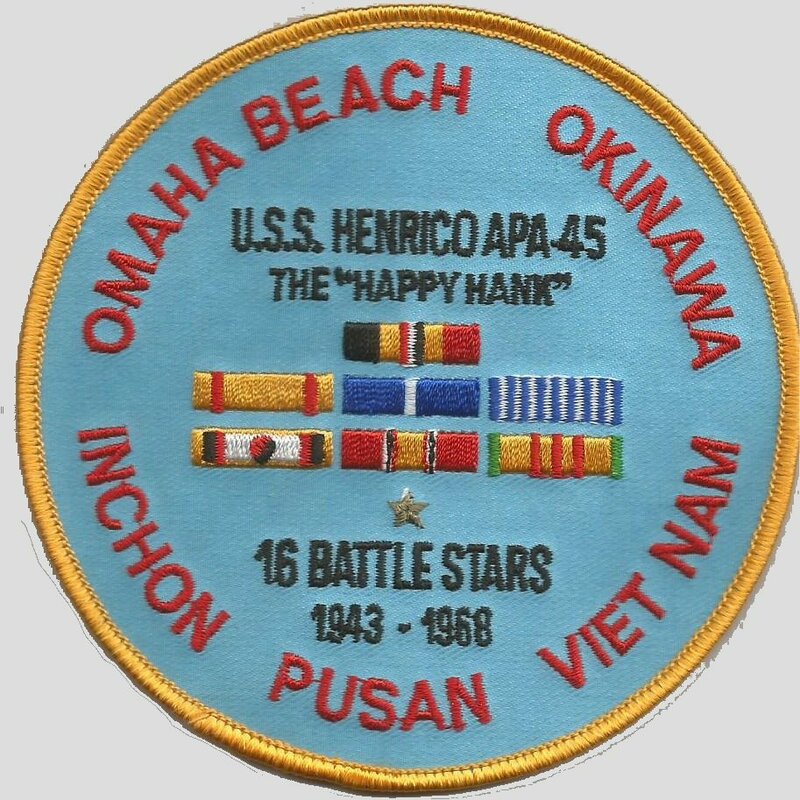 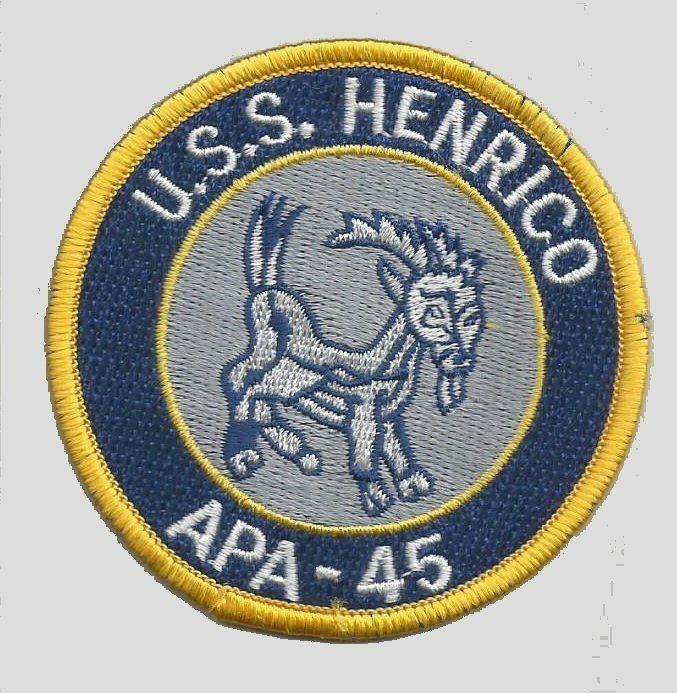 65k USS Henrico (APA-45) underway, date and location unknown. 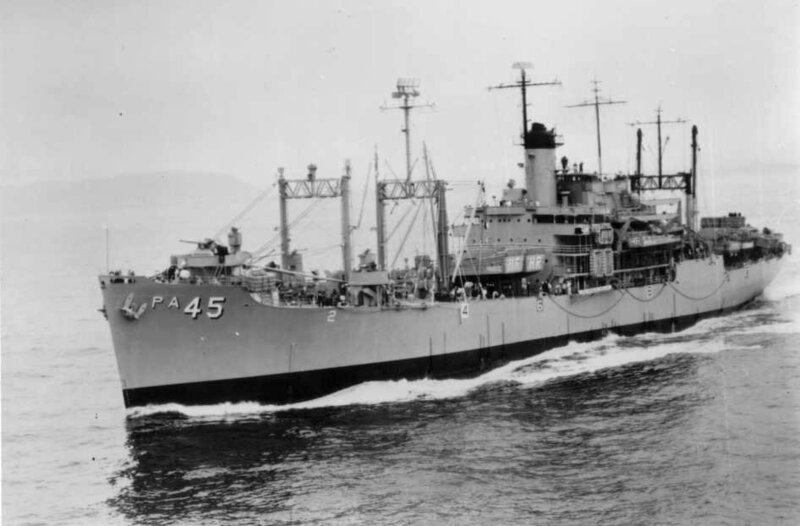 70k USS Henrico (APA-45) underway, circa 1943-45, location unknown. 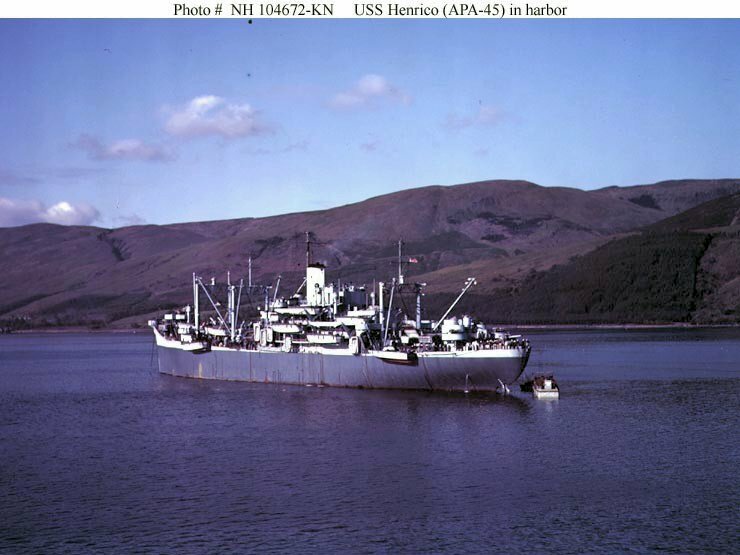 341k USS Henrico (APA-45) at anchor, date and location unknown. 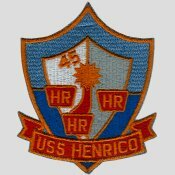 48k USS Henrico (APA-45) at anchor, date and location unknown.